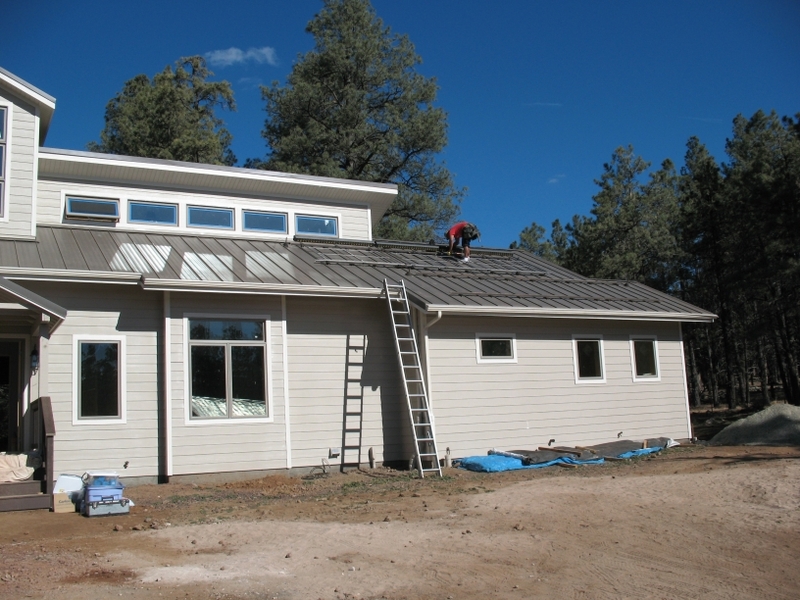 Sedona Home and Garden magazine ran two articles on our green home design and living. Check them out! The Discovery Channel filmed a segment at our LEED™ Platinum Bellemont project yesterday afternoon. The crew spent several hours discussing everything from green aspects to the smart home system. The U.S. Green Building Council Northern Branch-Arizona Chapter hosted its first all-member meeting last Thursday. Open to the public, the meeting was located at Coconino Community College’s Lone Tree Campus in the Commons area. Speakers included Coconino Community College President Dr. Leah Bornstein; Carl Ramsey of Architectural and Environmental Associates; Carl Taylor, chairman of the Coconino County Supervisors; Richard Bowen, associate vice president, Northern Arizona University; Amanda Acheson, manager for Coconino County sustainable building program; Nicole Woodman, manager, City of Flagstaff sustainable program; and Christine Newell from Willow Bend. Yavapai Magazine ran an article back in August featuring an energy-efficient demonstration house in the Village of Oak Creek. 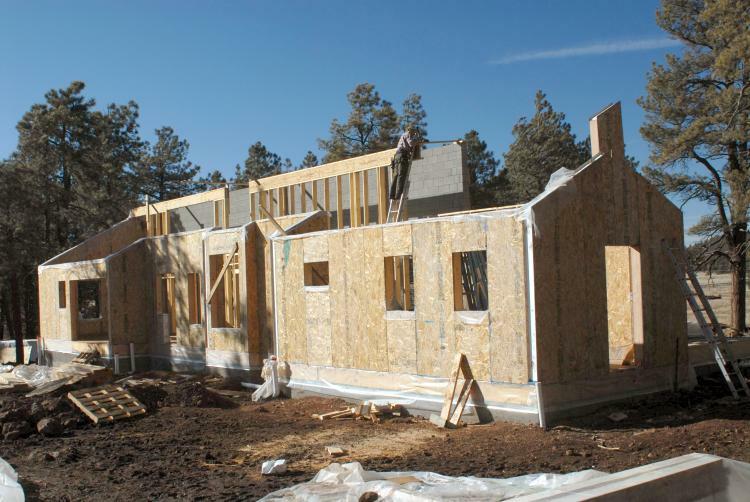 From solar power to proper insulation to indoor air quality control, the house features state of the art green construction and living. 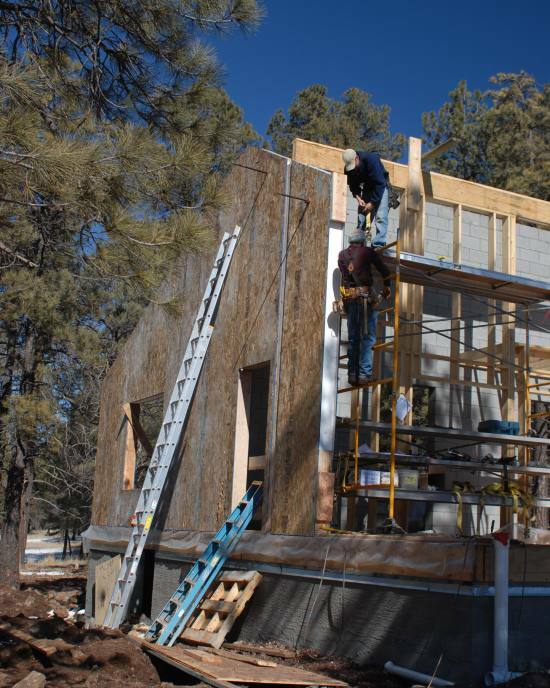 The Arizona Daily Sun recently ran a Go Green article featuring our company President, Carl Ramsey, and his sustainable home in Bellemont. 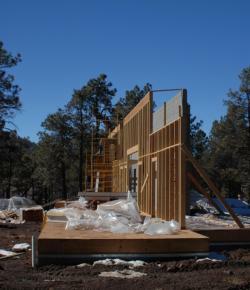 The home will be Arizona’s first LEED™ platinum certified house for environmental sustainability. To read more about the home and Carl’s interest in green building, view the article. This is the construction of our LEED™ for Homes pilot project home. This house has applied for platinum certification. Architectural & Environmental Associates, Inc. is proud to announce completion of a 15Kw solar array for “Canyon Explorations” located at 675 Clay Street in Flagstaff AZ. Canyon Explorations outfits and leads rafting trips down the Colorado River at the Grand canyon. The “Canyon Explorations” Photovoltaic system shall provide about 60% of the company’s overall electric power needs. 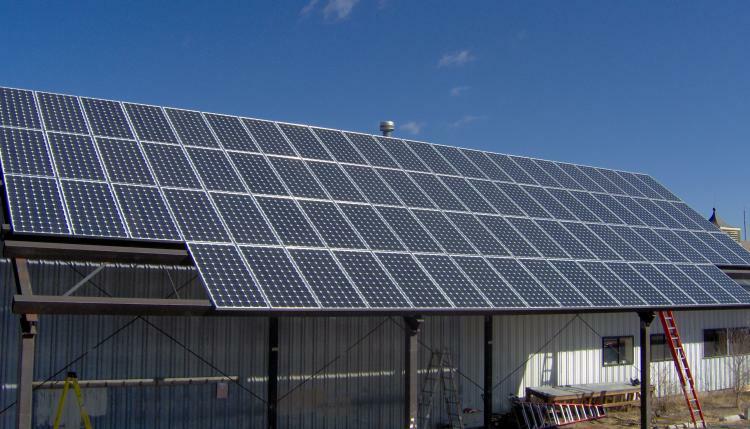 “Canyon Explorations” is an extremely environmentally conscious firm that practices green sustainable business and is enthused about being able to have a solar Photovoltaic system that provides completely clean renewable power. In addition the new solar system is installed on a steel frame on the south side of the site and also provides an approximate 65 foot x 25 foot shaded work area for the company’s employees for maintaining the company’s boats and other equipment in the summer. The company can sell power back to Arizona Public Service (APS) when it is making more power than it requires for its use. APS helped pay for the solar system by giving a $4.00 a watt rebate to Canyon Exploration or approximately $60,000. In addition the business also is receiving a Federal Tax Credit of 30% of the balance of the cost of the system (part of the 2005 Energy Tax Credit Law) or approximately $30,000 and approximately $10,000 from the state of Arizona as a tax credit. An additional the federal tax credit law allow for an accelerated real property “five year write off” that also provides some additional tax savings. 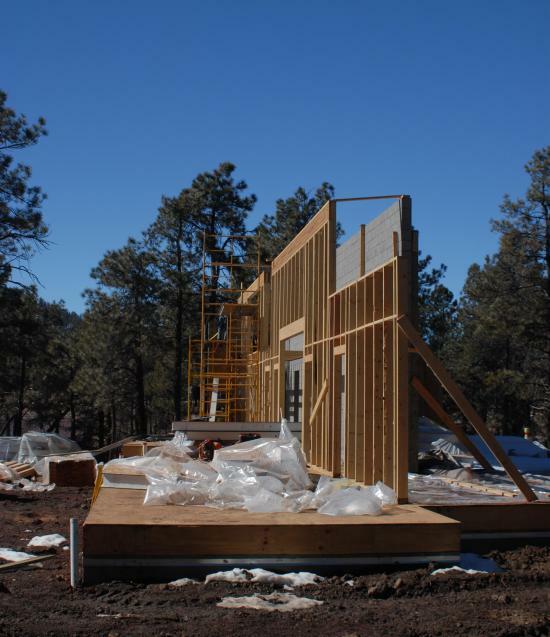 For more information on this or other AEA solar projects please contact Carl at AEA, 3955 lake Mary Road, Flagstaff, Arizona (928) 214-0005.